Of course people think you stick a cat on anything and it will sell. 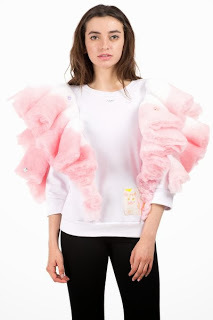 Let's hope that isn't the case with this cotton candy sweater. Does make He want some cotton candy though.